Checking Out a Graffiti-Inspired Watch with a New York Vibe Can bold New York City "whatchoolookinat?" bravado be captured in a watch design? If any brand can do it, the graffiti art inspired Zoo York brand can. 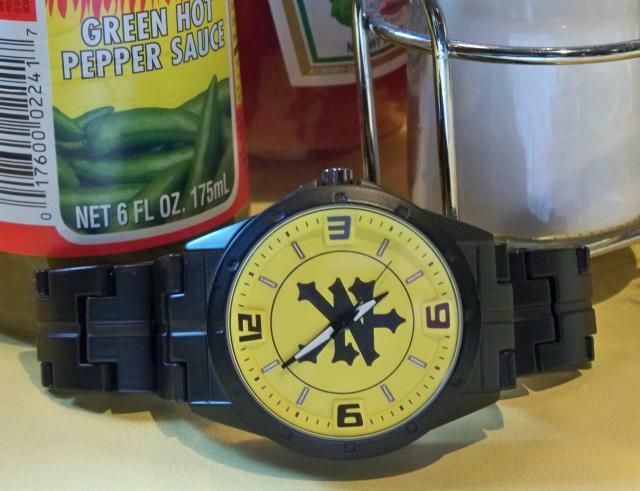 Check out this bold yellow Zoo York Watch to see if they can do it! Some cities have an attitude. New York is famous for having a certain swagger and a bold, in your face, attitude. The challenge for watch designers is to bring that attitude and personality to a timepiece. The Germans have their precision and the Swiss have their craftsmanship. Zoo York tries to capture a bit of "Yo, whatchoo lookin' at?" The brand itself was inspired by the graffiti art movement in the New York City area. Renowned designer Marc Ecko was one of the brand's founding figures. 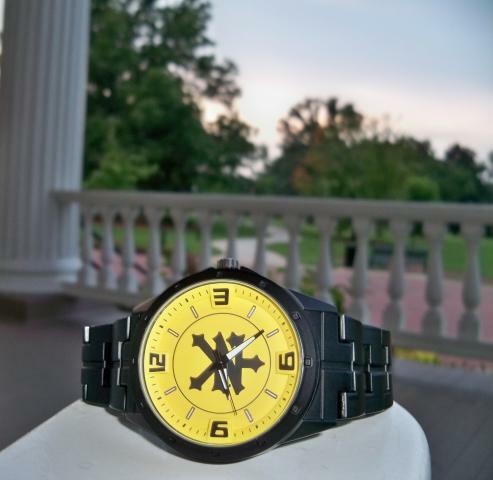 The subject of this review is one of my most recent watch purchases: a Zoo York casual watch with a black case and bracelet and yellow dial. Style. 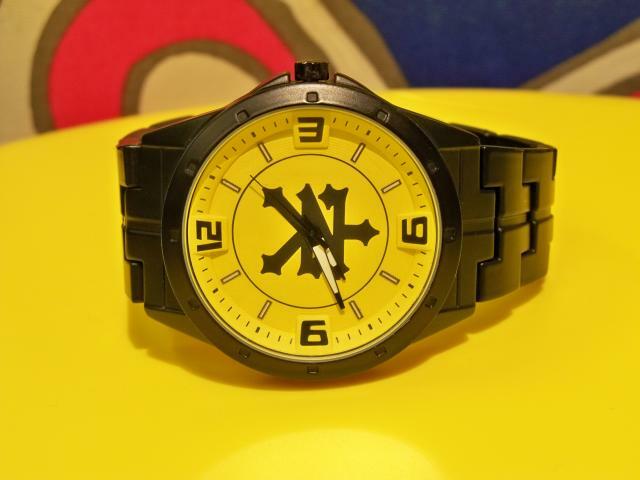 The dominant feature of this watch is its bright yellow dial and bold black ZY Zoo York logo. The intertwined letters evoke the famed New York Yankees cap logo, but are unique in their shape and font. The watch also offers a strong flat black case and metal metal bracelet that brings a bit of machismo to the party. If you don't like the flamboyant yellow watch, Kohl's currently has a version of this Zoo York watch with a plain black dial and no logo. In that black stealth mode, it is a perfectly appropriate conservative watch for any business casual workplace. Personally, I prefer the bold yellow dial. I may never be skateboarder, but I can have a skate rat watch! Size. This Zoo York watch illustrates that you can go bold in a watch design without going big. The case is a manageable 45 millimeters wide (including the crown) and 13 millimeters thick. It fits under the cuff with ease. The bracelet is a comfortable 20 millimeters wide. However, I had to remove several links for it to fit properly. Fortunately, it was an easy operation with the Android watch repair and resizing kit that I recently won on mywristwatch.net. Construction. This Zoo York watch has stainless steel caseback and what appears to be a base metal case. It is powered by a Japanese movement and the battery type is usefully marked on the caseback. The watch seems well constructed, but skateboarders should know that it is not ruggedized for sporting use. Price. This Zoo York watch retails for up to $39.99 at Kohls. However, with all the Kohl's cash and other sale discounts offered by Kohl's, you can probably get the watch for a little less. Zoo York brand watches are also sold at J.C. Penney. Quartz fashion watches can have fleeting time upon the shelf, but this one is demonstrative of the kinds of watches you may find with the Zoo York label. The Zoo York brand generally offers bold, creative, and youthful watch styles at an affordable price point. If you buy this watch, just be prepared for people to stare at it. This watch will be noticed. You won't have to challenge people with your best NYC "watchyoulookin'at?" They'll definitely be checking out your wrist watch!